Today I'm featuring an upcoming read, Grace, borrowed from the library. 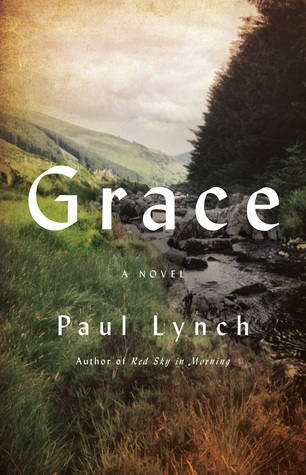 This is the third novel by Irish author Paul Lynch, who I very recently became aware of. His previous novels, Red Sky in Morning and The Black Snow, have been widely acclaimed. This flood October. And in the early light her mother goes for her, rips her from sleep, takes her from a dream of the world. She finds herself arm-hauled across the room, panic shot loose to the blood. She thinks, do not shout and stir the others, do not let them see Mam like this. She cannot sound-out anyhow, her mouth is thick and tonguing shock, so it is her shoulder that speaks. It cracks aloud in protest, sounds as if her arm were rotten, a branch from a tree snapped clean. From a place that is speechless comes the recognition that something in the making up of her world has been unfixed. 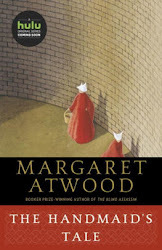 I find the opening scene very intriguing, and it makes me want to know more about the narrator and her story. I'm looking forward to reading this new-to-me author's work. This First Chapter ~ First Paragraph post was originally written and published by Catherine for bookclublibrarian.com. It cannot be republished without attribution. Retweeting and sharing on Google+ are appreciated.